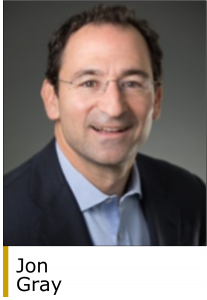 Blackstone has hired Jon Korngold, a former managing director at General Atlantic, as senior managing director and head of Blackstone’s growth equity investing platform. Mr. Korngold is tasked with building and running this new platform which will provide capital to companies during the critical phase between venture capital investments and traditional buyouts. 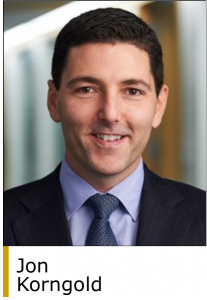 At General Atlantic, Mr. Korngold was a member of the firm’s management committee, chairman of the portfolio committee and global head of the firm’s financial services and healthcare sectors. In his 18 years at General Atlantic, he sourced and executed billions of dollars of growth equity investments across the technology services, enterprise software, healthcare, financial services and consumer sectors. For each of the last three years, Mr. Korngold was ranked #1 among investors on Institutional Investor’s “Fintech Finance 40” list, which recognizes top dealmakers in the financial technology industry. Prior to General Atlantic, he worked in Goldman Sachs’ principal investing and M&A groups in London and New York. Blackstone’s investment activities include private equity, real estate, public debt and equity, non-investment grade credit, real assets and secondary funds. The firm also provides financial advisory services, including financial and strategic advisory, restructuring and reorganization advisory, and fund placement services. Blackstone is headquartered in New York (www.blackstone.com).